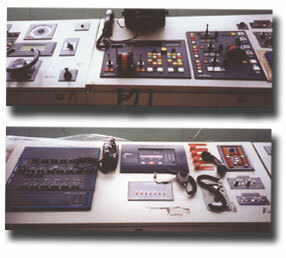 Spar Marine Limited designs and builds switchboards and control panels, providing complete electrical engineering designs and custom solutions for each application. Every Spar Marine Ltd. panel is built to rigorous standards, is fully inspected and tested to ensure customer satisfaction. Custom Engineering Design – Spar Marine Limited adapts to each client’s application with custom designs and innovative problem solving. Our designs are thorough and precise, using computer-assisted design and drafting software. User-friendly Layouts – Operation is simplified with logical arrangements and clearly marked components and wiring. An example of Spar Marine’s work on a major shipboard conversion is shown below. Our attention to detail and quality can be seen in the wheelhouse controls for the navigation and main propulsion systems shown below.